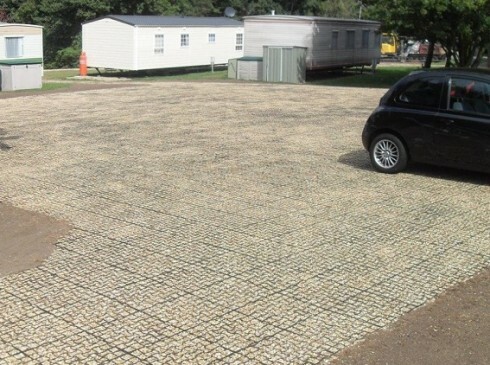 GeoGrid® cellular paving system enables the fast and efficient implementation of ground reinforcement and stabilisation. The cellular design of the grids allows the dispersion of excess rain or flood water which makes it ideal for integration with Sustainable Urban Drainage Systems (SUDS) and in areas prone to flooding or with water dispersion problems. 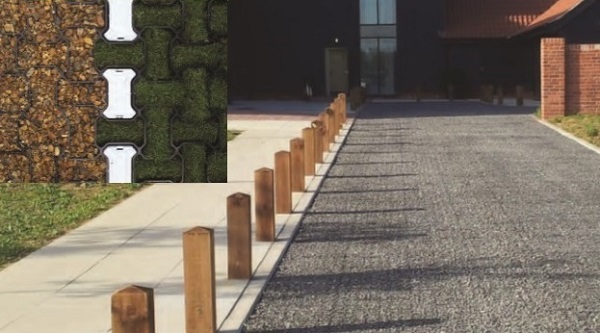 GeoGrid®’s unique patented design offers the combination of excellent cellular strength and weight load capability whilst allowing for optimal expansion and contraction avoiding the risk of surface deformation in hot or cold climates. 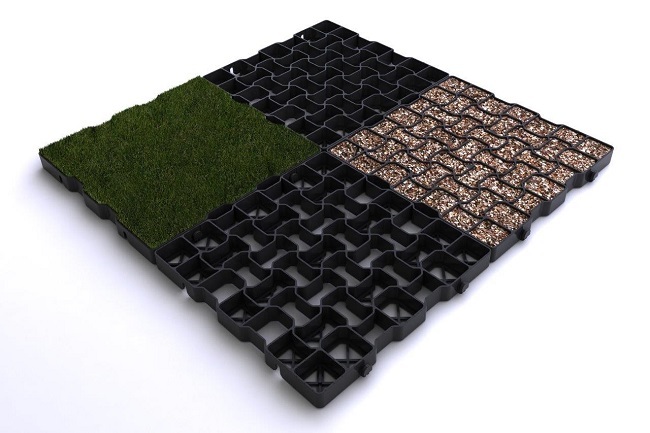 Manufactured in the UK and Europe and made from 100% recycled polyethylene, GeoGrid® features an effective and simple interlocking design for fast and efficient installation. 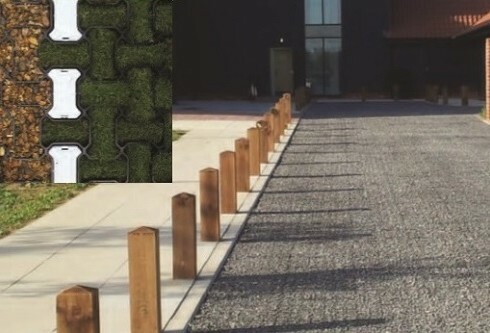 The grids can be lifted directly from the pallet as pre-connected 1m² sections and can be easily cut to form shapes around obstacles such as planters or posts, saving time and money on large scale installations. Pathways and driveways, new and overflow car parks, ground reinforcement and stabilisation including slopes, embankments and storage areas, integration into Sustainable Urban Drainage Systems (SUDS), pedestrian access ways, access roads and roadways, event parking, road extensions and widening, equestrian and outdoor events, fire and emergency routes, infiltration basins, depot storage areas, gateway areas, golf buggy routes, helicopter landing pads and more. 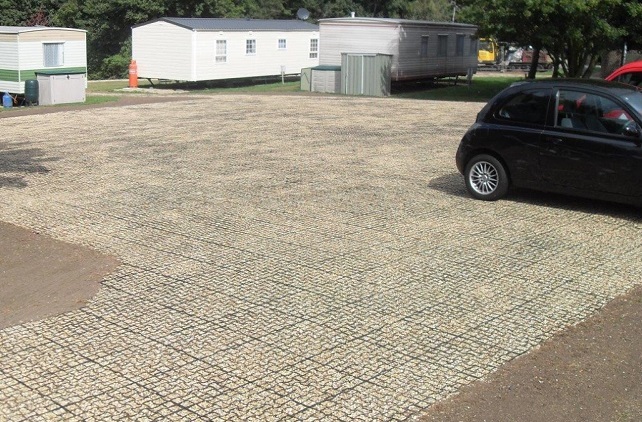 Click here to download the GeoGrid leaflet.